This could quite possibly be the last Friday New Product Post ever! Get what you need while you can! First off, we'll announce the winner of the caption contest next week. There are a lot of strong entries this time around - judging is going to be tough! Also, SparkFun will be closed on Monday and Tuesday (Dec. 24 and 25) for Christmas. We'll resume normal operations on Wednesday the 26th. Today is supposed to be the end of the world, according to a Mesoamerican civilization's calendar. End of the world or not, we're here with a special Friday New Product Post, as well as some new products. I know I said there wouldn't be a post or a video this week, but Lefty4000 took the news a bit too hard, so we had to do something. So, here's your special 100th Product Post Video. The Vimeo version can be found here. Unfortunately the text on the LCD wasn't readable in the video. I swear to you that you can read it, it was difficult to get it in focus at the angle we had. But, even at that small, you can easily read the output from the Pi. Also, keep in mind that with the fabric, that was a relatively dim LED and you can easily put a LOT more light into it. We were just using this with a coin-cell battery. For your long holiday weekend, we hope you enjoy the video montage of the past 2 years. I still can't believe we've done 100 videos! 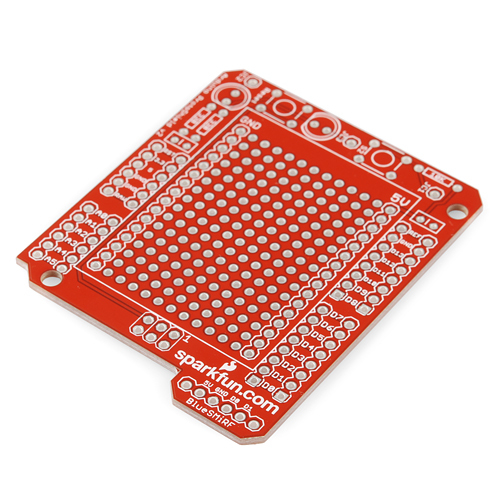 We had a few customers suggest that we should carry the PCB that comes in the ProtoShield Kit separately, so you can just use the PCB without the full kit. The bare PCB is of course the same as in the kit, just without the extra parts. We've also added a wishlist so you can see what parts are included and add them to your cart separately. So, if you already have some LEDs, you can just add the parts you need. Need something flashy for your next e-textiles project? Why not try some fiber optic fabric? They come in 40x75 cm (roughly 30" x 15") sheets that have a convenient place to put your photos. 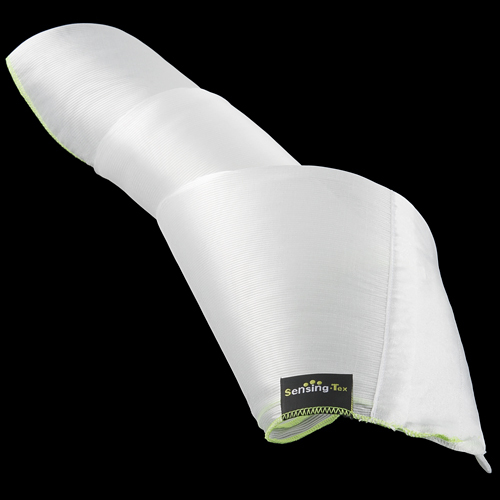 Just shine a light into the fiber bundle inlet, and the whole fabric will light up. It's pretty cool stuff, check the video above. We've been carrying the FEZ Hydra for awhile, so it's about time we got some other Gadgeteer modules. 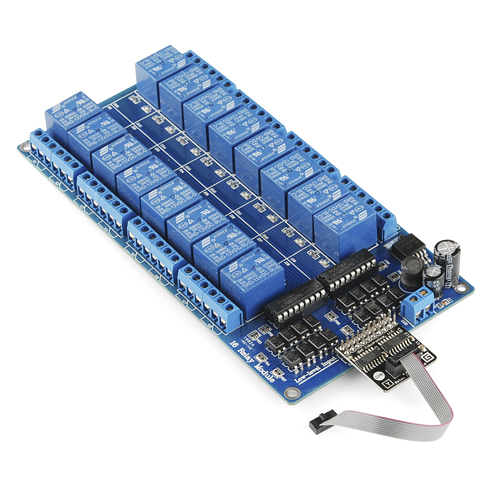 This week we've added 7 new Gadgeteer modules to use with the Hydra, or other Gadgeteer boards. 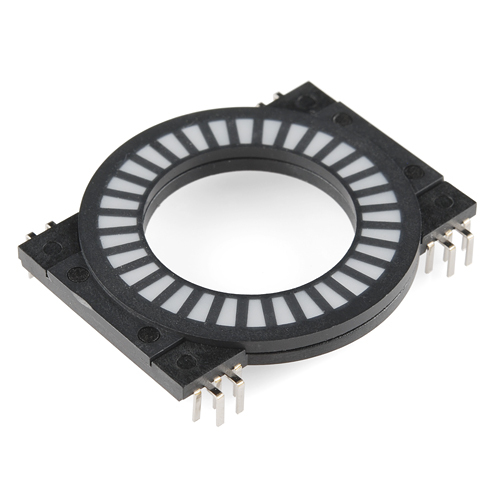 We now have the motor driver module, RFID module, relay module, SD card module, HD44780 module (for driving LCDs), accelerometer module, and a 10-pack of cables. 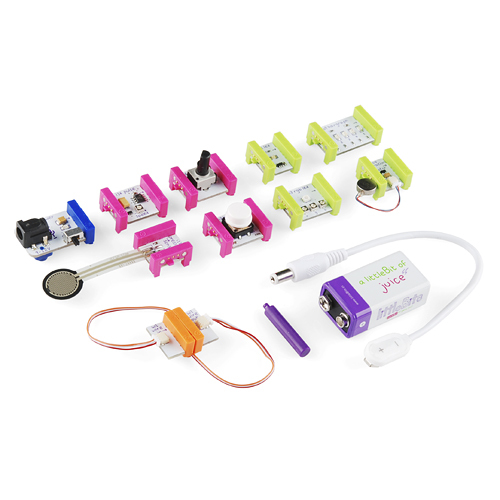 We have a new version of the littleBits Starter Kit this week. The new version includes better connectors and a better button connector. If you're not familiar with littleBits, it's a simple kit where the 'bits' snap together to form basic electronic circuits. If you're just getting started with electronics, you might want to check out this kit. Remember the TRRS audio cable we had a few weeks back? Well, now we have a breakout for it. 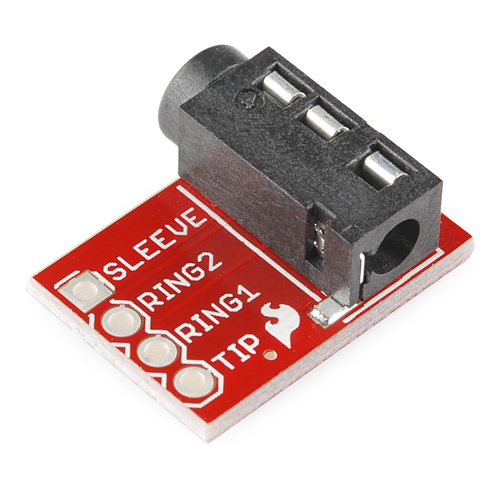 This simple breakout has a TRRS jack, and 4 pins. It doesn't get much simpler than that. 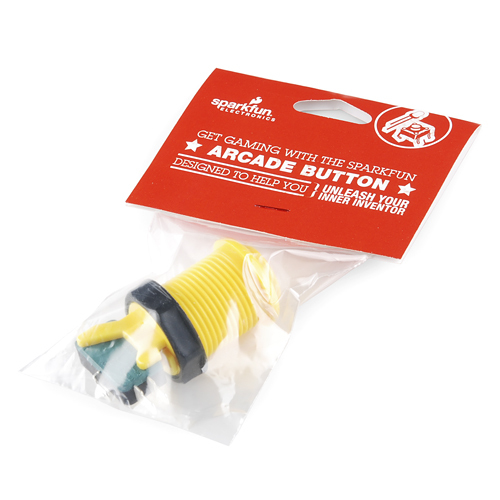 In addition to our red arcade button in retail packaging, we now have a yellow one. We've got more colors coming so check back next week. Speaking of colors, this week we have 3 new colors of our circular bargraphs. In addition to the red, we now have green, blue, and yellow. So, this concludes yet another Friday Product Post. I'm not even going to guess how many of THESE I've done over the years! We hope you enjoyed it, and I hope there's a product that you absolutely have to have. If the world still exists past today, I'll see you again in 2013 with more new products, new shenanigans, and buckets of tomfoolery. See you then, and for now, happy holidays. RobertC, you should wear a tie made out of that fiber optic fabric, very classy. Is it just me, or do other people miss the interactions with Dave? We still do them, just not as often. We did this one a few weeks ago. We will do our best to incorporate more hi jinx in the new year! That was a very difficult week. I know all the new product posts are great, but I just started watching them a few months ago(been following for years, but never watched them, just read the text).. As such, I feel pretty behind with some of the montage stuff. Is there anyway I could get a curated list of the best ones, such as the ones featured in the montage? Also, idea for next apocalyptic new product post: completely auto-tuned! At 8:26 in the video, what is that product he is singing to called? That's the Colorganic Spectralizer Kit! My first thought was "someone has an interview". I told my wife I wanted the Xmega for Xmas... 3 days later a Sparkfun box appeared at my door. Coincidence? Ok, I'm sorry, but that rocked! That collage thingy at the end, and the jazz. My oh my, I'll be doing the twist for days. Rob you look like a magician. I thought you were going to do magic tricks. Disappointment. The best magic tricks are impossible to detect. But they're definitely the most fun to watch! Y'all need to fix the audio problem on these videos. I can't hear Robert over the sound of his beard growing. Why is there not a DIP area on your version of the boards? That is the most convenient feature of the Adafruit and official Arduino protoboards. I like the choice. While the DIP area works for somethings it can also get in the way. I'm confused - which board? Do you mean on the protoshield? We have lots of PTH protospace. Are you asking for an SMD breakout area? Or a bused area where you can solder in DIP ICs? I personally like the Adafruit boards a little better. If you look at the top of the board by the SOIC pads you'll notice she put slightly larger holes for screw terminals. Nice. Just didnât imagine Iâd be seeing you in a suit today!!! And what happened to the beard? Happy Christmas everyone at Sparkfun! I like the jazz at the end, more jazz! Easy to listen to and relevant. Nice. I should have waited until Christmas to view this video! I think you will need a LOT more for tesla coils. I too would like to see bulk packs of magnet wire.